You'll be ready to take on anything with this army of skulls behind you! This pocket knife features a 3.5 in. blade with a deep-piercing point and partially serrated sharp edge. The built-in thumb stud and super-fast assisted-opening mechanism provide lightning-fast access to the blade. 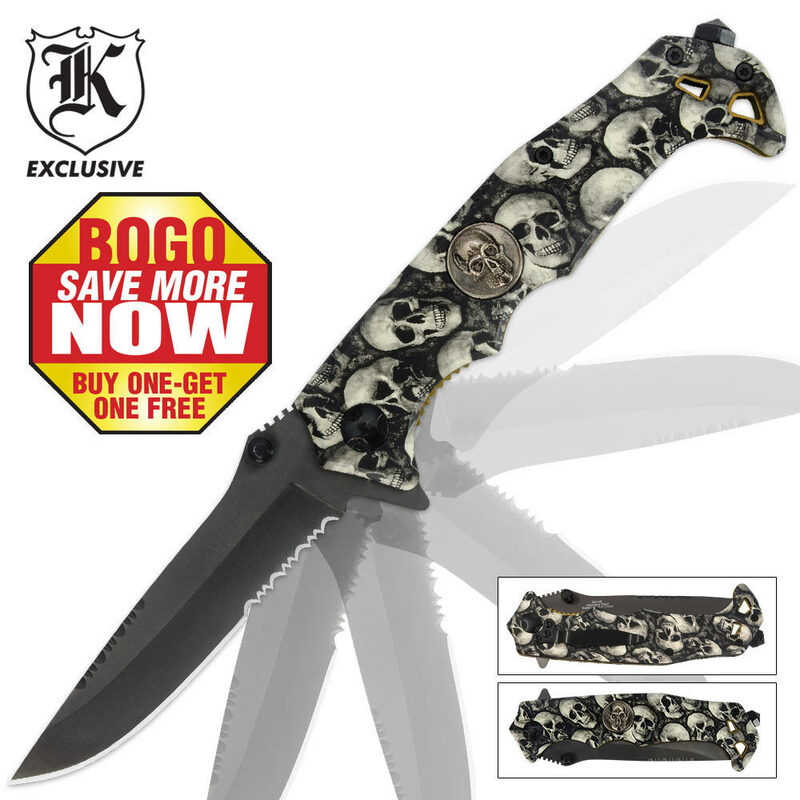 The army of skulls pattern on the handle just adds to the beauty! A glass-breaking spike is included on the tip of the handle along with a pocket clip. Great knife, strong and heavy!